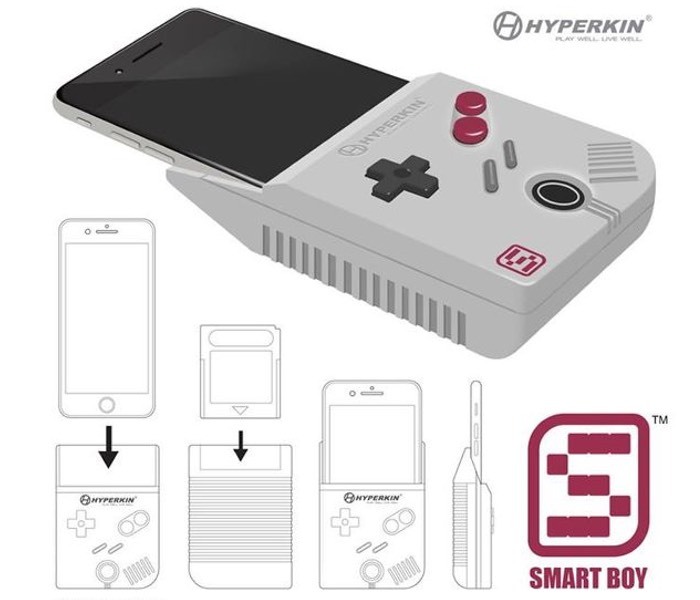 Hyperkin has this week unveiled a new peripheral they have created called the Smart Boy which has been designed to transform Apple’s iPhone 6 Plus smartphone into a Game Boy Color complete with physical keypad buttons. The current Smart Boy concept allows you to slide in your iPhone and would even include its own battery that can be charged using the phone itself and should roughly last around five hours of continual use. 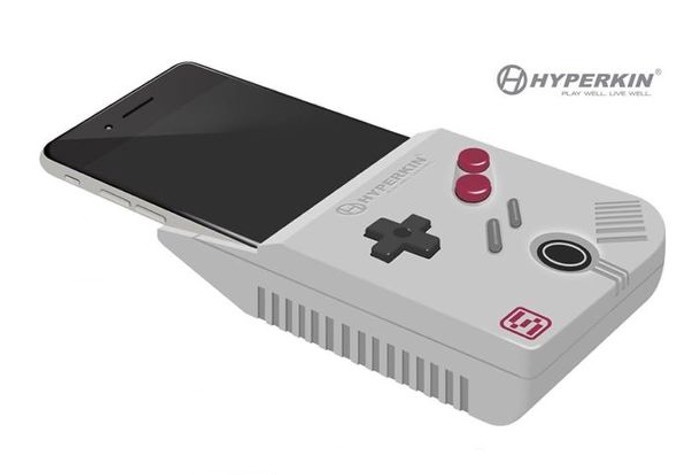 Unfortunately no information on pricing or worldwide availability has been released as yet by Hyperkin for their new Smart Boy Game Boy Color iPhone 6 Plus adapter, but as soon as information comes to light we will keep you updated as always.